1. Interpetations of Peronism: ol framework and New perspectives. Cristian Buchrucker. 2. 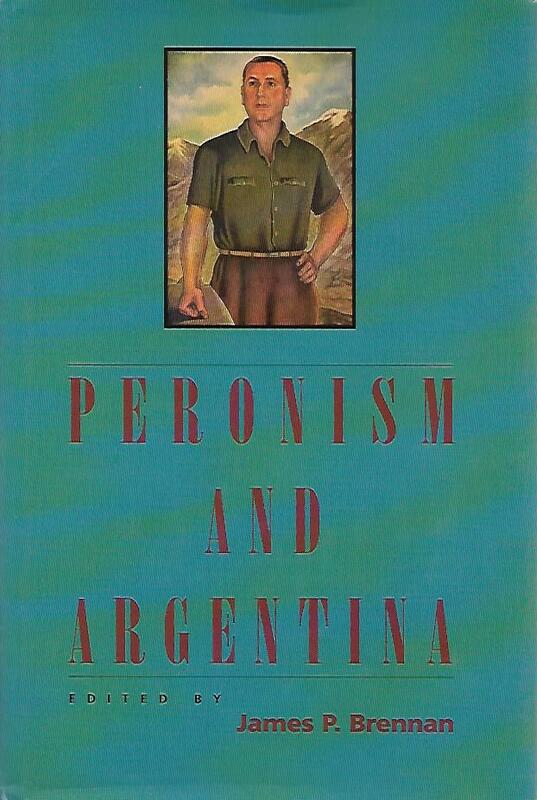 The Changing Perceptions of Peronism: A Review Essay. Mariano Plotkin. II. Peronism and Argentine Society. 4. Industrialists and bolicheros: business and the Peronist Populist Alliance, 1943-1976. James Brennan. 5. The ambivalent Giant: The Peronist Labor Movement, 1945-1995. Juan C.Torre. III. The Metamorphosis of Peronism. 6. The origins of Menemismo. Vicente Palermo. 7. Reviewing the Past and Inventing the Present: the Steelworkers of Villa Constitución and Menemismo, 1989-1992, María C.Cangiano. 8. The transformations of Peronism. Torcuato di Tella.